This booklet and accompanying chart prove at a glance that the Catholic Church has always been and is the one true Church of Christ. Explains the many heresies through the ages and graphically presents their origin and progress. 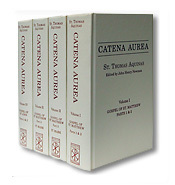 For schoolchildren, catechism classes and apologetics. The Test: The Church as Christ Established it in 33 AD Graphically Compared with His Church in the World Today. Ideal for religion classes, church history students, convert classes, discussion clubs and Bible students. he Four Marks of Christ's Church: Christ Established only One Church - Was It Your Church? Graphically shows the splintering of the protestant sects from 1517 to 1939. Graphically shows that minerals do not have souls, that plants and animals do (although different from one another) and that humans also have souls...souls endowed with an intellect and well and capable of sharing in the life of God through Sanctifying Grace. From Creation to the life of the Church, see all of Salvation History presented in graphical form. Considered one of the best and most popular short statements of the Catholic faith ever written.Drawing on God's revelation and the doctrines of the Catholic Church, Sheed focuses on the major truths of our existence to reveal the divine master plan for each of us. The best apologetics book to give to someone who is "nothing" that is to say, coming from no particular religious tradition...a modern skeptic who may finally be looking for a greater meaning to life. We have seen God work wonders of grace through this book. Contains one of the best explanations of the Trinity ever written. specifically recount the life of Our Lord Jesus Christ. antique-style khaki rattan Kidskin with red embossing on the covers and spines, and a red marking ribbon. 233 pages. Softcover. Illustrated. Answer Key. Originally printed in 1949, this book is perhaps even more relevant today than when it was first written. Written in the form of An Open Letter to the Men and Women of Today, this dynamic book constitutes an excellent apologetic for the Catholic Faith. It shows what Christianity means and involves, and demonstrates how its practice could stave off the impending disaster which looms over our world. Fr. Dudley's presentation is logical, forceful and thought-provoking. He writes in a vivid and dynamic style familiar to his readers. "If certain things I shall say are resented, please believe me that it is not my intention to hurt, but only to draw attention to the truth. A quality of truth is that it hurts when refused; when accepted it no longer hurts". identifying marks, and, finally, its infallibility as the religious Teacher of mankind. some of the greatest historical figures of the first centuries after Christ. The identity of the True Church of Jesus Christ will not be a mystery after reading this book! "Santo subito!" "Sainthood now!" exclaimed the people assembled in St. Peter's Square on the very day Pope John Paul II passed away. The crowd called for the canonization of the deceased pope. To many, John Paul II was a hero. He traveled the world and inspired the multitudes. He caused the fall of the Berlin Wall. He invited Catholics to “be not afraid!” He pardoned Ali Agça for the attempt on his life of May 13, 1981. He was an intrepid defender of life, especially against abortion. An in-depth study of the requirements for beatification and the examination of John Paul II’s pontificate in light of those requirements leads to amazement. Gray areas, sometimes extensive, come to light. The greatest of the Christian virtues–faith, hope, and charity–are not unscathed. Many of the Pope’s teachings and initiatives which for the wide public seem to be titles of glory prove to be in fact matters of grave reproach. Benedict XVI’s beatification of his predecessor on May 1, 2011, may indeed have been a serious mistake. Fr. La Rocque provides an in-depth study of the requirements for beatification and the examination of John Paul II's pontificate in light of those requirements.